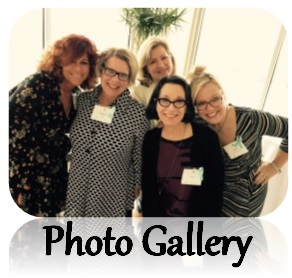 The Circle of Strength & Hope engage women philanthropists who believe in the mission of Recovery Resources and want to support the organization with time, talent and treasure. When women use their energy and financial resources, they have the ability to inspire and transform lives for those in need. 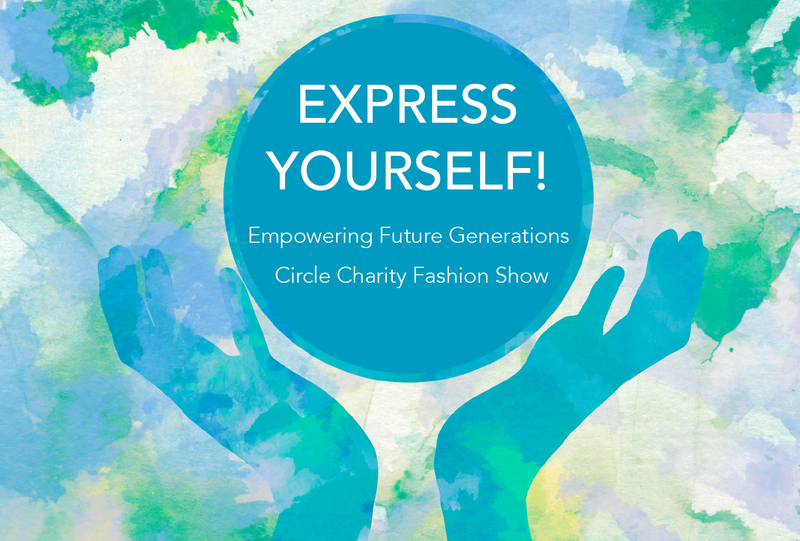 Join us November 9, 2019 for our Circle Fashion Show - Express Yourself! EXPRESS YOURSELF! The Circle Fashion Show “Empowering Future Generations”, will be hosted by members of the Circle of Strength & Hope to raise funds in support of women and children cared for through Recovery Resources’ programs. To learn more about the Circle of Strength & Hope, please contact Diane Tomer at dtomer@recres.org or (216) 431-4131, Ext. 2501. 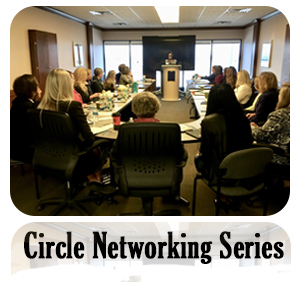 The Circle of Strength and Hope engage women philanthropists who believe in the mission of Recovery Resources and want to support the organization with time, talent and treasure. When women use their energy and financial resources, they have the ability to inspire and transform lives for those in need. The Circle of Strength was founded in 2014 to unite compassionate and committed women who support the mission of Recovery Resources. 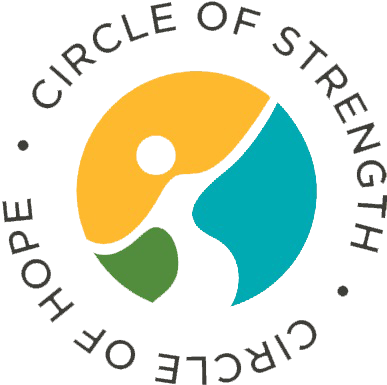 In 2017 the Circle of Hope was introduced to provide an introductory level and today, the Circle of Strength and Hope are one entity offering membership at multiple levels to fund Recovery Resources programs that help women and children. Financial Advisor | Robert W. Baird & Co.
Senior Corporate Counsel USCAN | A. Schulman, Inc. Founder and CEO | Bright Side, Inc.
- Participate in three recruitment events to network, socialize and celebrate the positive philanthropic impact the Circle has on the selected project(s). - Invitation to speak or participate in bi-monthly networking meetings. - Founders & Strength members receive a silver Pandora bracelet with commemorative charm for each year of membership. - Hope members receive a custom designed sterling silver bracelet, stamped with the year. 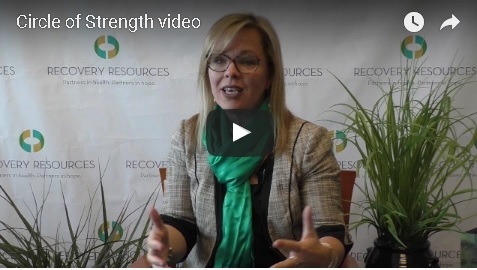 - Listing on Recovery Resources website. - Listing in Recovery Resources' Annual Report. - Recognition and complimentary ticket to the Annual Recovery Resources' Awards and Recognition Luncheon. December – Holiday Celebration at the Monarch House Founders and Members enjoy a little holiday cheer along with the residents at the Monarch House. #CaseysKids is a youth led prevention program that helps build leadership skills in teens and reinforces the decision to be drug-free. Youth led prevention allows teens to gain skills in leadership, public speaking, planning and implementation while at the same time promoting a prevention message that is more readily received by their peers. Circle of Strength funds provide high school student leaders with tools and information regarding high risk behaviors, as well as engage them in designing and delivering programming for their peers that uses this knowledge to shape behavior change. Opportunities to volunteer with the youth leaders in and out of the classroom provide a valuable experience for both the Circle member and students. 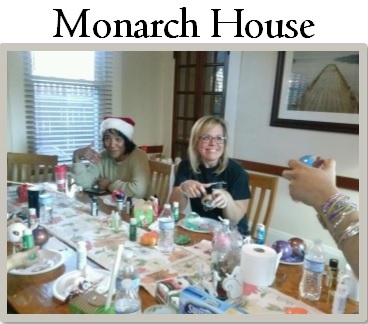 In 2015, the Circle of Strength committed to fund the remodel of the Monarch House, a women's recovery house owned and operated by Recovery Resources. The following year the Circle members chose to finish the remodel by designating their funds to refurbish the kitchen. The house serves as a bridge between supervised in-patient treatment and full return to community living, while offering a safe and sober environment for nine women where basic needs for food, clothing and safety are met, freeing residents to focus solely on their recovery. The house is supervised by two qualified recovery coaches who encourage and support the residents in their journey towards long term sobriety. The goal is to provide women with the tools they need for a lifetime of freedom from the disease of alcoholism and chemical dependency.